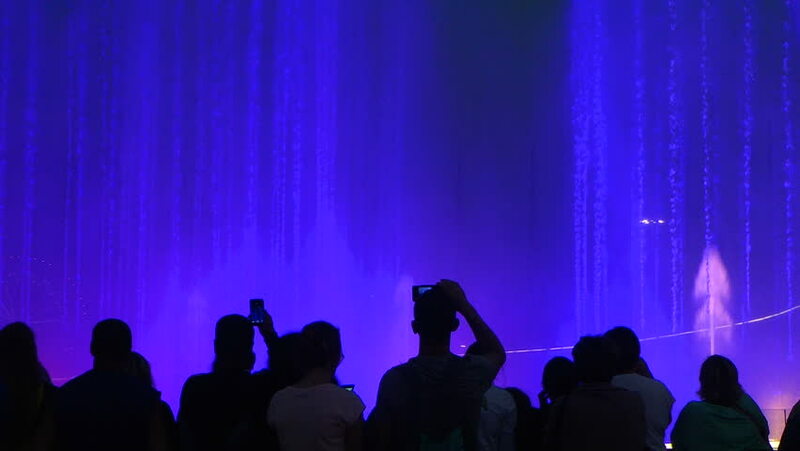 Silhouettes of a people that is watching the colorful show in dancing fountain. hd00:52SYDNEY, AUSTRALIA. JANUARY 26 2013. Australia Day Fireworks Slow Motion 1. Australia Day (previously known as Anniversary Day, Foundation Day, and ANA Day) is the official national day of Australia. hd00:59DNIPRO, UKRAINE - FEBRUARY 11, 2018: Symphonyic Show performed by members of the Dnipro Opera and Ballet Theatre - conductor Yuri Porohovnik. hd00:07Misk, Belarus - May 15, 2017: Handsome caucasian singer in casual clothes performing music on stage. Scene, stage light with colored spotlights and smoke. Blue spotlights in smoke shine on the stage.